The sun is shining, the sun is hiding! No matter the seasons, we've got you covered with the premium high quality hammocks from Siesta Hammocks! Perfect for all the seasons and great for those special spaces like a balcony, alfresco or even in the corner of your office! A place to retreat and read a good book or simply have snooze. Science says you need a hammock! 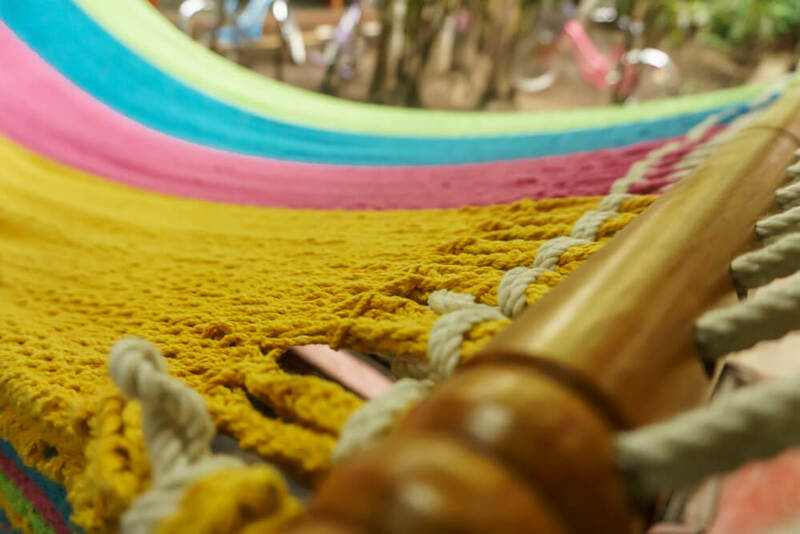 It’s official: there's a reason that swaying gently in a hammock is so relaxing. Science says that rocking as you fall asleep affects your brain waves, allowing you to gently drift off to sleep, faster! The results help explain why everyone, from babies to adults, find rocking back and forth so soothing. We know that catching a quick afternoon nap is helpful to refresh the brain. But doing so in a hammock is probably now the best option! If you are the type of person that likes to share with your partner and enjoy leisure time in a hammock. Then your first item of consideration should be a freestanding hammocks or often referred to has a hammock & stand combo. Especially if you do not have trees properly spaced or other support structure strong enough for two people. There are two types of hammocks: free-standing and hanging. Free-standing: This free-standing hammock includes a stand and lets anyone enjoy the comforts of hammock living. You can assemble your hammock and enjoy lounging around on your balcony, at the beach, inside, or just about anywhere without trees. Stands can come in a variety of materials, including metal, bamboo, or aluminum. The downside to free-standing hammocks is that they’re heavy and therefore more difficult to move. Hanging: Hanging hammocks hang loosely between two trees and have a center that droops down. These types of traditional hammocks usually hang six to eight feet high, while hammocks with spreader bars hang four or five feet off the ground. The difference between the two is that the traditional hammock doesn’t remain open, so you need to separate the fabric to get in, while the ones with the spreader bars remain taut. Tip: Measure your area before you hang the hammock. Most rope hammocks are 13-feet long, so make sure your trees or posts are at least 13 to 17 feet apart. If they aren’t, you need a hammock stand. As mentioned, you want to figure out what type of hammock you need along with what material to buy. The finest-quality hammocks feature durable materials along with weather-resistant fabrics. Don’t compromise on the fabric quality to save money because the material might rip. There are several types of hammock materials. Rope: When you think of a hammock, you probably think of ones made of rope. Typically containing cotton or polyester, rope hammocks feature spreader bars that separate the two sides. That way it keeps the space open for easier access and quality support. You can hang this type of hammock between two trees or posts as well as with a prefabricated stand. Best for warmer, dryer climates, rope hammocks are typically more comfortable since the ropes stretch to contour with your body. However, since they’re made of cotton, rope hammocks absorb moisture and might grow mildew. 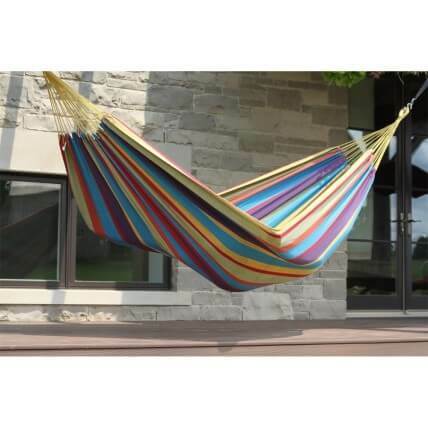 This type of hammock is not recommended for small children since they can have their hands or feet caught in the rope. Cotton: Similar to rope hammocks, cotton hammocks have a soft fabric. This allows the material to conform to your body shape. But, like rope, it is not mold or mildew resistant, so it tends to rot over time. It’s best to bring these types of hammocks inside during inclement weather. Polyester: Hammocks constructed of polyester are usually a more durable option. They can withstand high humidity levels, ultraviolet rays, and salt air. The polyester ropes tend to last longer since they’re resistant to mold and mildew. Keep in mind that the polyester ropes are less flexible than the cotton option. Polyester also acts like a sponge when it comes to water, resulting in a long dry time. Mexican Hammocks. When it comes to the Mayan hammock bed, things are fairly intense. Much as with a rug or other similar multi-fabric piece of material, the hammocks are made on a loom and are typically woven by hand. Threads are placed and run until the hammock is created. Brazilian Hammocks. Brazilian style hammock is a work of art. When in a jungle, it’s necessary to take some precautions both for your safety and for your comfort, and the make of this hammock keeps this in mind. Not only are you elevated above where all the creepy crawlies of the jungle floor like to live, you’re protected and made comfortable. In a hammock, you don’t have to worry so much about a scorpion getting its stinger into your arm. Nicaraguan Hammocks. The Nicaraguan uses a special type of weave which makes it a little stronger and less likely to tear than something like the Mayan. Also as with the Mayan, either of these would make for a great indoor sleeping hammock. Resort Style Hammocks. If hopping onto a hammock after climbing out of the pool is in the cards for you, you should greatly consider getting a poolside hammock. Though it doesn’t have to be placed beside a pool, it is recommended. The fabric used to create the hammock is made to allow water to quickly move through it, not allowing it to build up and either keep you wet or encourage the growth of mildew.